WEIRTON — Approximately $4 million in federal grants announced Monday will assist with continuing development projects in Hancock and Brooke counties. 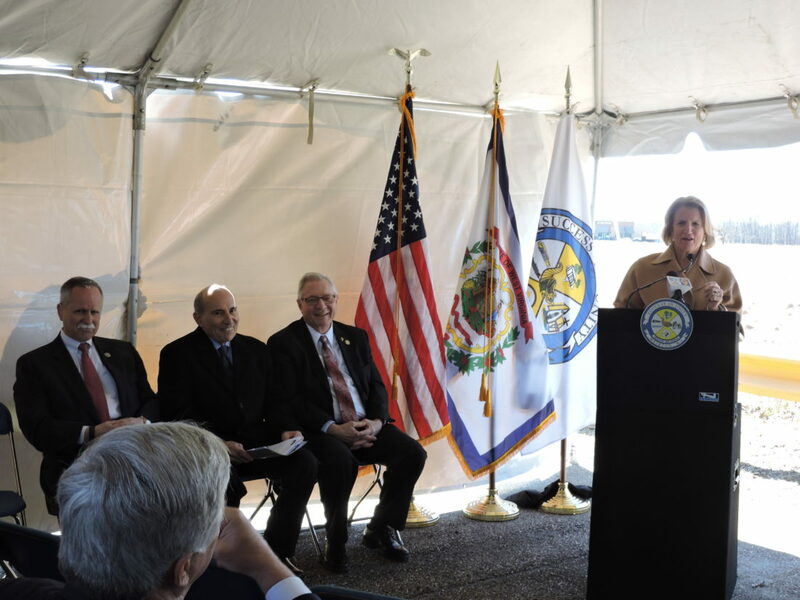 A group of dignitaries, including U.S. Sen. Shelley Moore Capito and U.S. Rep. David McKinley, both R-W.Va., gathered along Three Springs Drive in Weirton to announce the funding from the U.S. Economic Development Administration. In offering a welcome, Pat Ford, executive director of the Business Development Corp. of the Northern Panhandle, said the projects being planned, and the funding provided, would not have been possible without the growing cooperative efforts between local, state and federal officials. “Your work has brought us here today,” Ford said. Capito announced the funding, saying it takes a vision and hard work to bring growth to an area which has witnessed so many job losses over so many years. “Sometimes, it’s tough to reach the finish line,” Capito said, adding she is proud to be able to partner with these local efforts to attract investment and growth. Among the EDA grants announced Monday was $1.2 million to the City of Weirton for the expansion of the Three Springs Business Park, which Capito said is estimated to spur $5 million in private investment and create 500 jobs. The project, covering 72 acres of land, will include 18 parcels for an initial set of four retail buildings and a planned conference and event center, for a total project cost of $2.3 million. 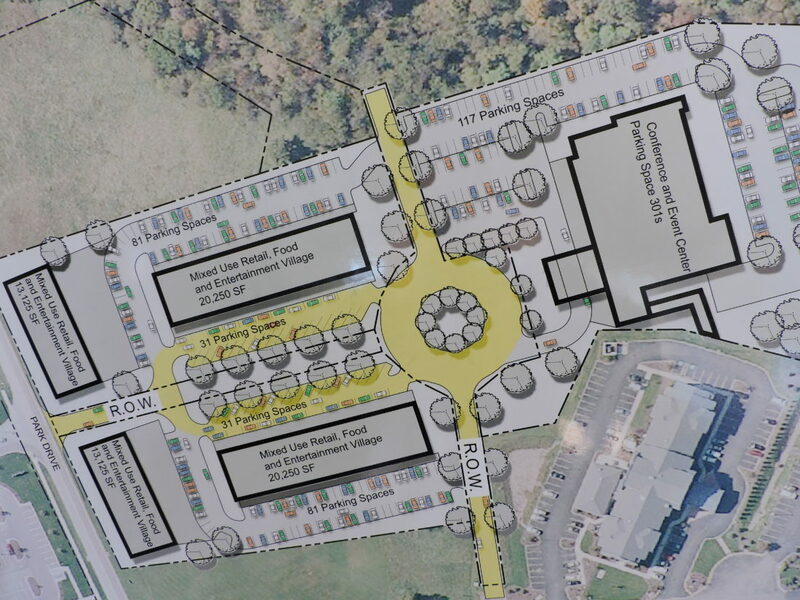 According to City Manager Travis Blosser, groundbreaking for the new roads in the Three Springs Business Park has been set for late July, with the beginning of construction for the conference center later in the year. “City council and the mayor launched this project,” Blosser said, explaining the discussions on the conference center began in April 2016. Ford said construction of the retail buildings will begin within the same timeframe, and the solicitation of tenants already has begun. Also announced was $2.6 million to the BDC for the continued rehabilitation of the Beech Bottom Industrial Park at the former Wheeling Corrugating Plant, supporting existing and future business needs. This project is expected to bring in $1 million in private investment, while creating or retaining 115 jobs. McKinley agreed, saying he has been in contact with many residents and businesses in recent years who have expressed hope for the future of the Ohio Valley. Mayor Harold Miller, paraphrasing from “Mr. Rogers’ Neighborhood,” thanked those gathered for the support in recent years, which he said has made it possible for such projects to move forward.